I can’t even tell you how many times I’ve heard it. I love talking about controversial topics on radio. Whenever those controversies connect to Christian behavior, somebody always says it. Take for example a recent story from Wright State University in Dayton, Ohio. A street preacher there thought it would be a great idea to tear-up a Koran in front of a crowd of students. This was his attention grabbing strategy for telling people about Jesus. Nice, huh? Anyway, since the video of him yelling at people and ripping up a Koran went viral, we talked about it on the air. A shocking number of people continually use that passage from Matthew to defend confrontational, abrasive and inappropriate behavior in the name of Jesus. Rather than try to figure out what Jesus actually meant, they’ve decided it’s ultimately about gritting your teeth and pouring salt on an open wound. They see any association of love and kindness with truth as compromising our faith. Or just being wimpy and soft. I’m no theologian. But my examination of those words from Jesus leads me to the opposite conclusion. So who’s right? There wasn’t any refrigeration in the ancient world. If you wanted to preserve meat, you had to salt it. Therefore, this metaphor in Matthew 5 refers to the idea that Jesus wants us to be like salt and preserve the world from corruption. We basically keep it from rotting. Our job is essentially to stop the bad in the world, and promote what is good. We are to advance the cause of righteousness. If you think the call to be salt and light in Matthew 5:13-16 is encouraging confrontational or abrasive behavior, you misunderstand the metaphor. 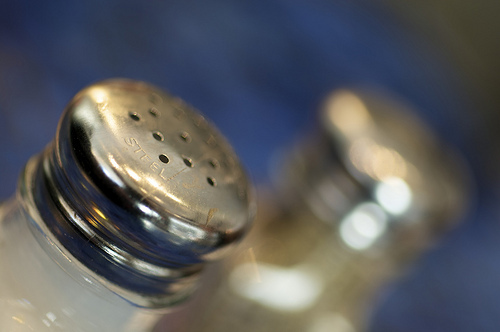 Colossians 4:6 says our speech should be seasoned with salt. In context, the Apostle Paul isn’t referring to just any kind of speech. He’s talking specifically about evangelistic speech. The whole idea of being ‘salt’ is to make what we say about Jesus flavorful so people want to hear it. Not be abrasive. Well, there you have it. Can we all just agree to stop using “salt and light” as a defense for intentionally offending people or sharing our faith in a confrontational manner? I hope so. Thanks Brian for sharing insight in love. You are missed here.